Ever since I can remember, I’ve always had a thing for sweetened condensed milk. I mean, a major thing. A just-looking-at-the-can-would-get-me-drooling-all-over-the-place kinda thing. If one could have an actual crush on food, then I would definitely have one on this super thick, sticky, ooey, gooey and crazy sweet canned elixir and might even have worked up the courage to ask it out on a date. I’m serious. Had I been Cleopatra, I’d have totally bathed in sweet condensed milk instead of boring plain old milk. And for the longest time, my favorite part of a cheesecake, or lemon pie for that matter, was the graham cracker crust (don’t even THINK of serving me lemon pie that doesn’t have a graham cracker crust). I would ALWAYS save it for last, I mean literally. I would carefully detach it from my cake or pie and eat it on its own, after everything else had been consumed. To this day, I still have an extremely soft spot for it and always make sure that my last bite will contain a very good chunk of my beloved crust. Yeah, I’m one of those people who always save the best for last! 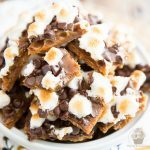 Now, combine those two delicacies, add a little bit (or a lot) of chocolate to the equation and you suddenly find yourself in seventh heaven! HA! How convenient is that? 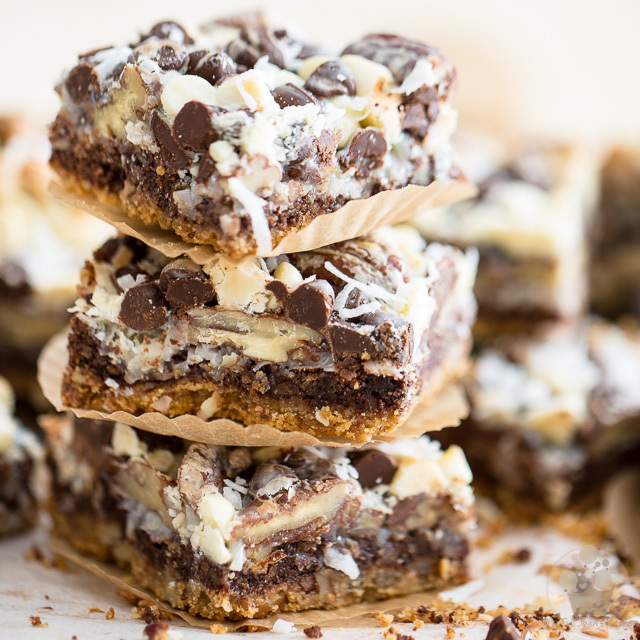 It’s like each layer of these 7 Layer Magic Cookie Bars gets its very own slice of heaven! I feel I need to warn you, though: these aren’t for the faint of heart. 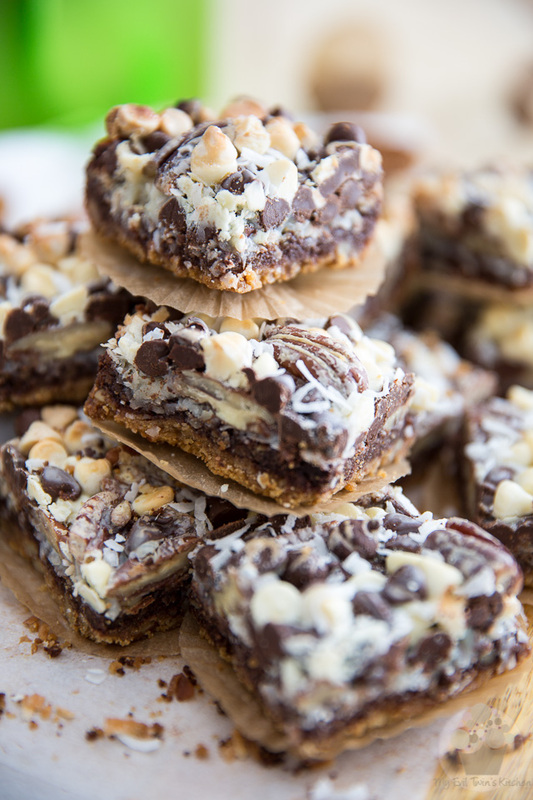 While they are totally decadent and perhaps even to-die-for, these are EXTREMELY sweet! 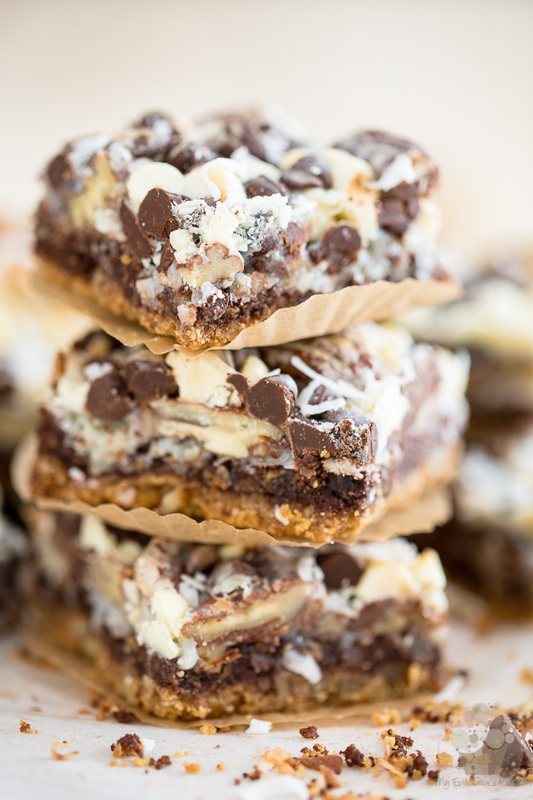 Just one of these magic bars may very well send the untrained palate straight into a sugar coma… but for the rest of us, you know, those of us who could easily handle 2 or 3 in a row? These are your express ticket to sweet paradise. 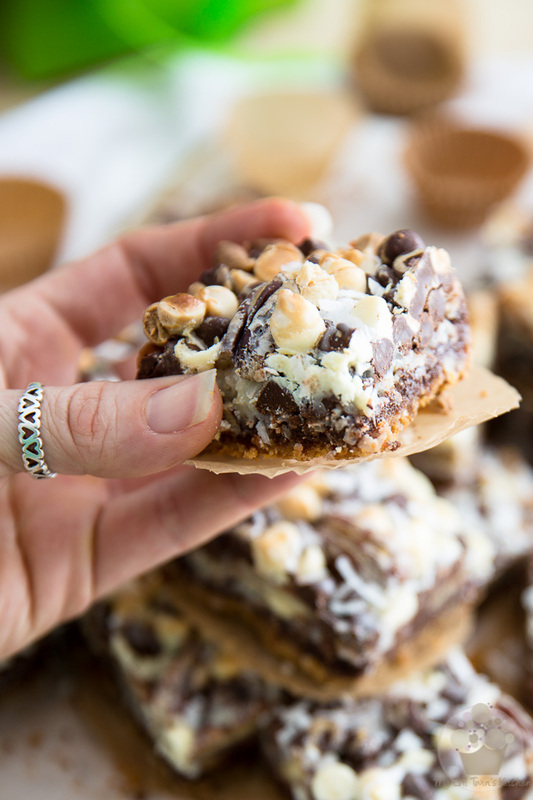 These bars are really super easy to make, don’t require any special tools and won’t dirty up many dishes at all. Most of what you’ll be using, you can just wipe clean after your done. Yet another reason why I love them so much! 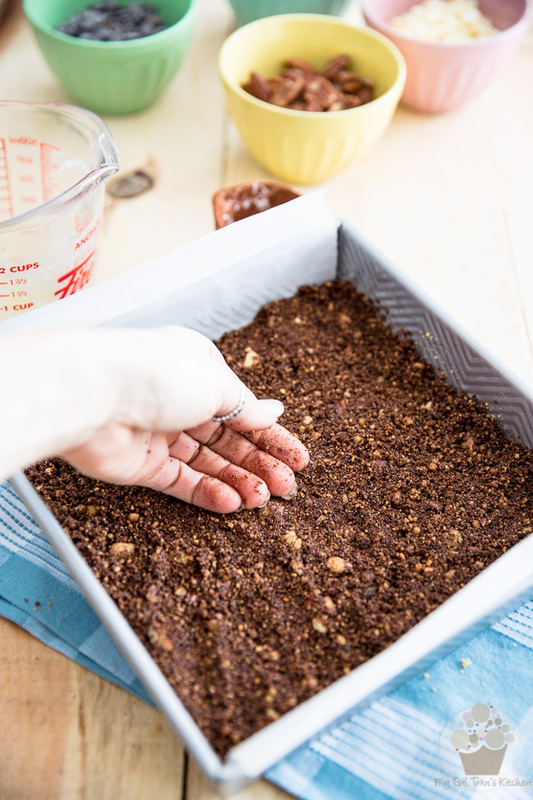 Then, grease and line a 9″x 9″ baking pan with parchment paper, leaving a bit of an overhang on either side for easy removal of the bars when they’re done. 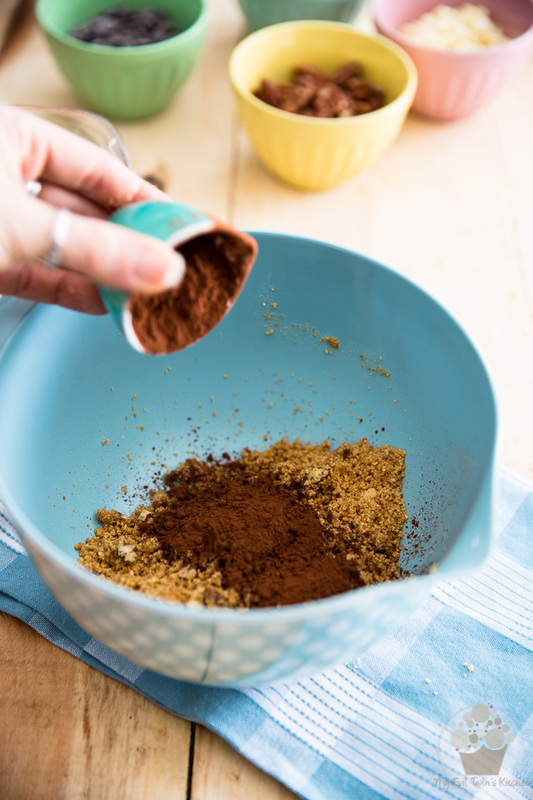 Combine the graham cracker crumbs, brown sugar, chopped pecans and salt together into a large mixing bowl. Measure and melt the butter into a small glass measuring cup. Then, measure or weigh the rest of your ingredients, i.e. 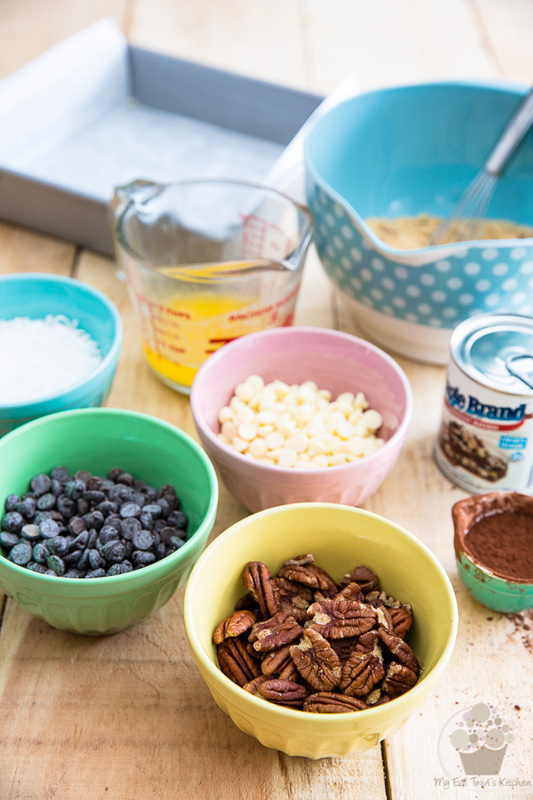 the cocoa powder, sweetened coconut, pecans, white and semi-sweet chocolate chips. Oh, and take your can of condensed milk out of the pantry. But don’t open it just yet, lest you’d be tempted to eat the whole thing by the spoonful! Pour the melted butter in with the graham cracker crumbs, sugar and chopped pecans. 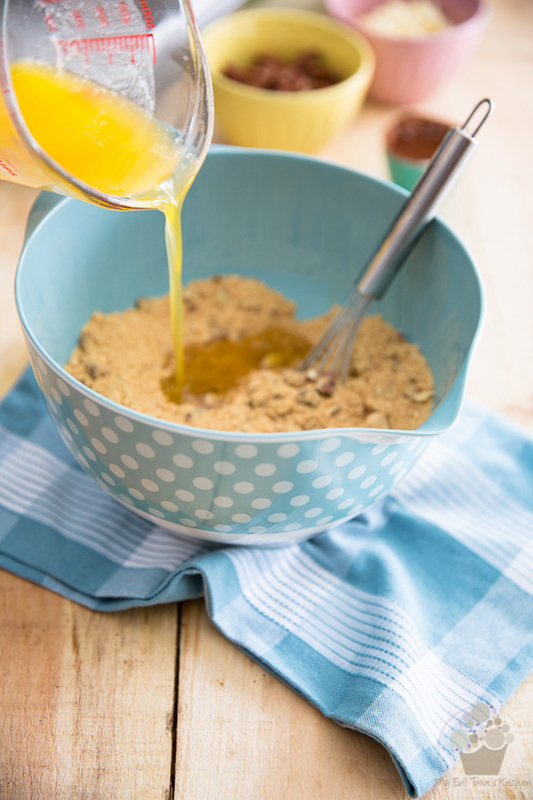 Mix with a fork or flat whisk until well combined. And then press HALF of this mixture into the bottom of the prepared pan. 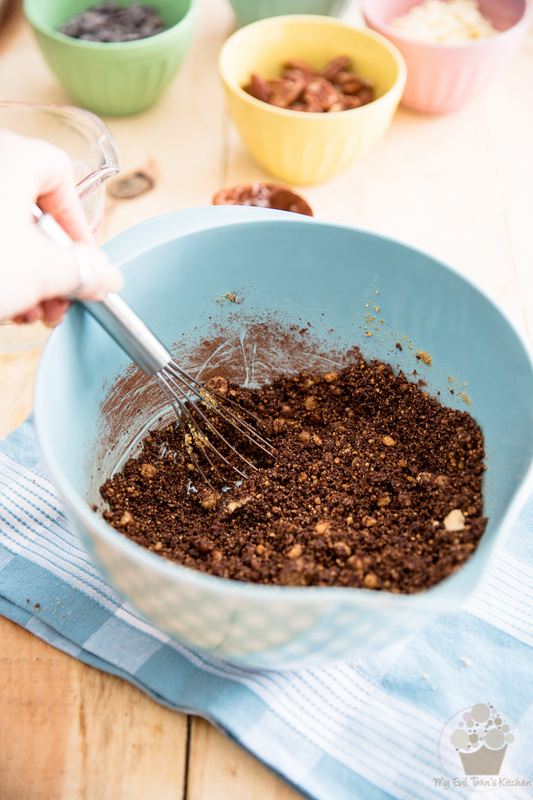 Pour and gently spread this 2nd layer of graham cracker crust over the previous layer. Press gently but firmly so it adheres to the previous layer . Hey, that’s 2 layers down, 5 to go! 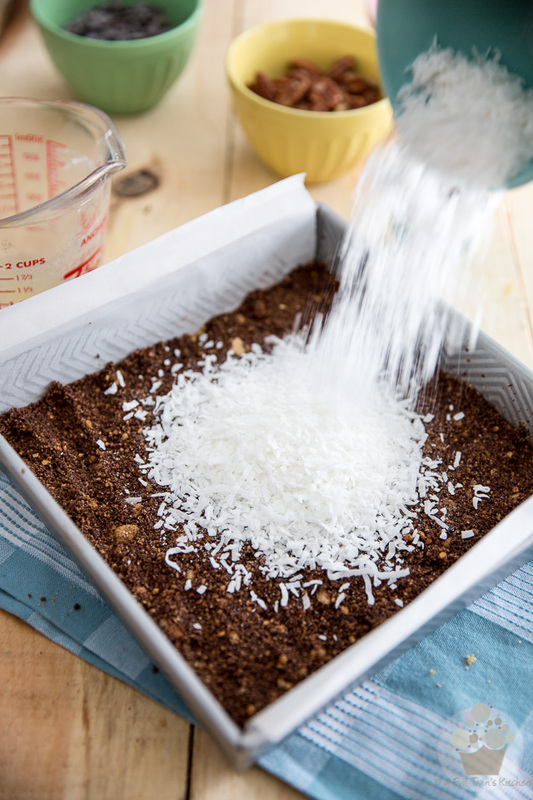 For the 3rd layer, we’ll go with the shredded coconut. 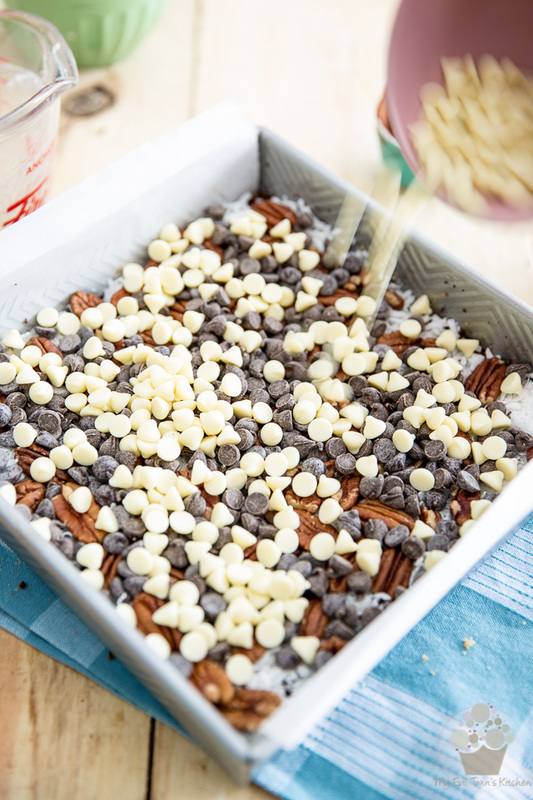 Simply pour and spread it evenly all the way to the sides of the pan. And finally, the white chocolate chips. Slightly press with your fingers to help the layers bind together. Just in case you lost count, we now have 6 layers down… Of course, I kept the best for the end! 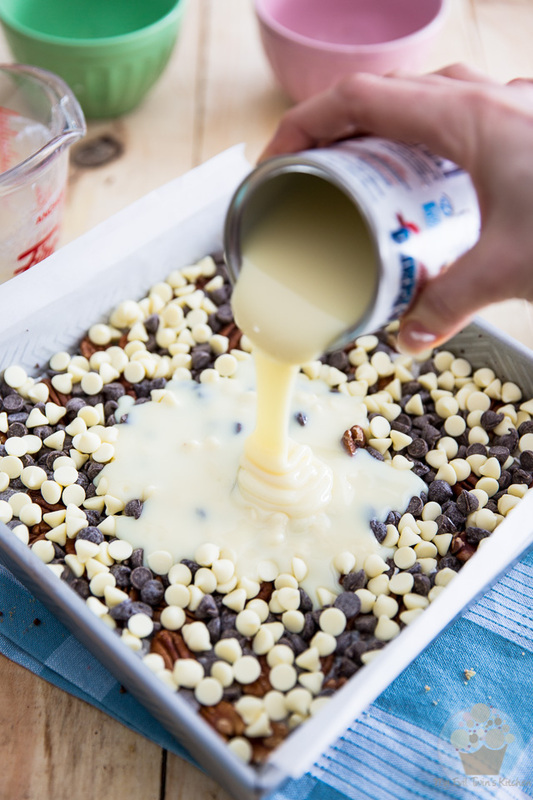 And now, for that 7th and final layer: pour the sweetened condensed milk evenly over the entire content of the pan. Just look at that sweet, concentrated nectar cascading and rippling as it pours out of the can. How beautiful is that? You want to get that condensed milk evenly distributed across the entire surface of the pan. 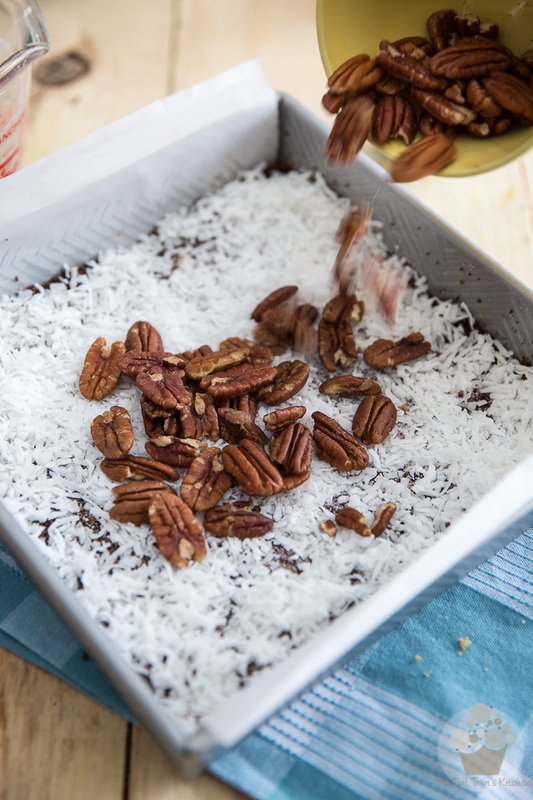 Send the bars to the oven and bake for 25 to 30 minutes or until the top starts to turn lightly brown. 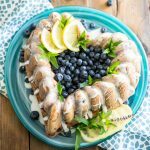 Rotate the pan in the oven about half way trough baking time and, if needed, cover loosely with aluminum foil to prevent excessive browning. Whatever you do, don’t try and cut them before they are completely cooled. 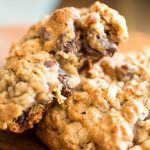 If you tried cutting them while they were still warm, you’d only end up with a pile of sweet, gooey mess. Oh, it would still taste amazing, but you would definitely not be eating bars! I know it’s hard, but be patient. The wait is totally worth it, I swear. 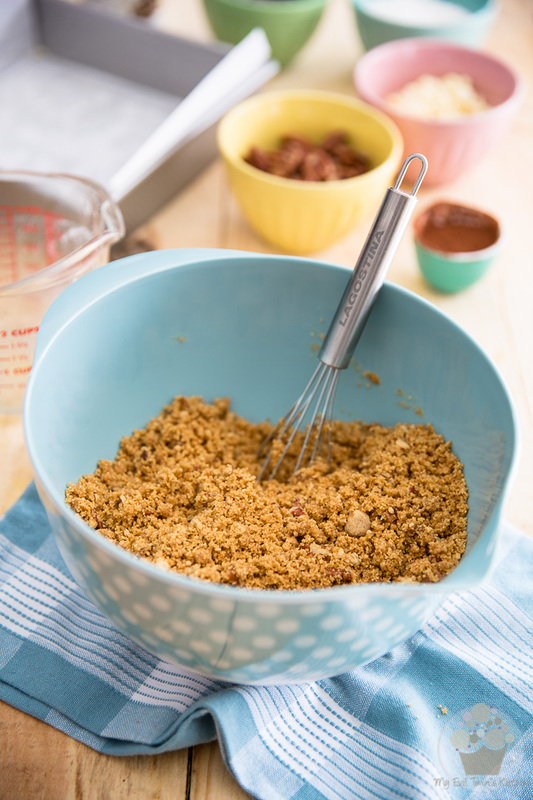 Combine the graham cracker crumbs, brown sugar, chopped pecans, butter and salt in a large mixing bowl. Mix until well combined and press half of this mixture into the bottom of the prepared pan. Add the cocoa powder to the remaining graham cracker mixture, mix well and then gently spread over the first layer of graham crust; press gently but firmly so it adheres to that first layer. 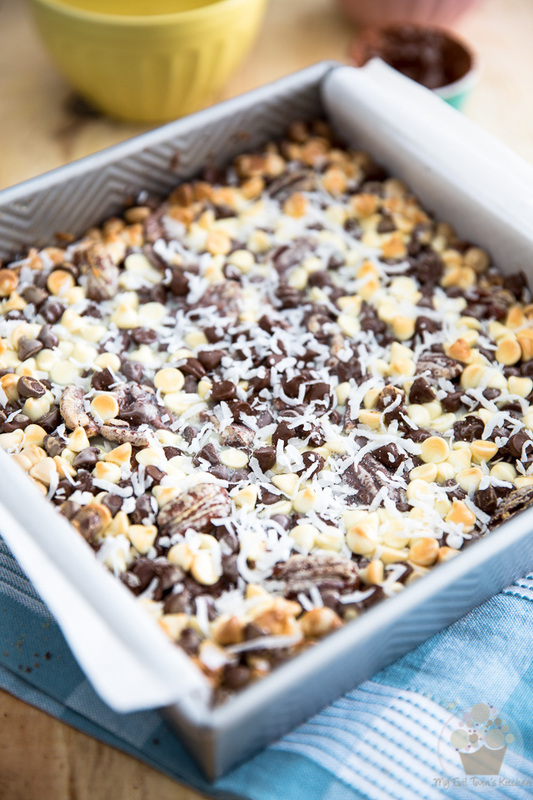 Top with the shredded coconut, pecans, semi-sweet chocolate chips and finally, white chocolate chips. Slightly press with your fingers to help the layers bind together. 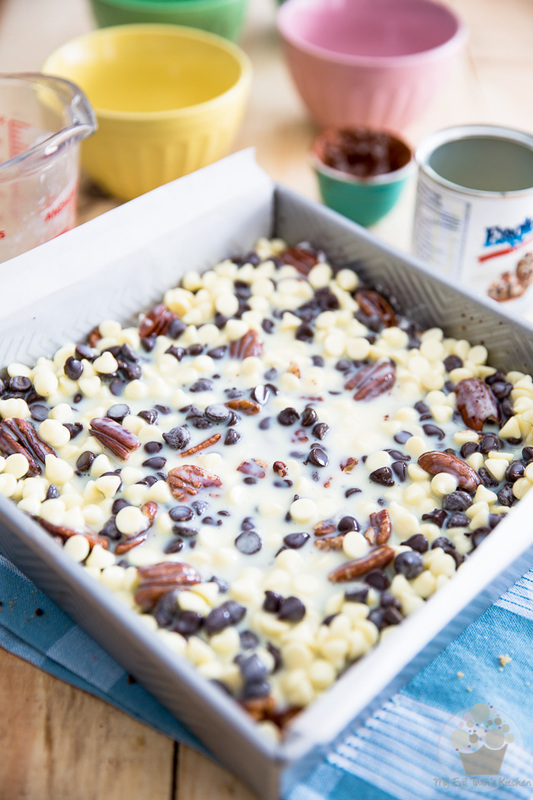 Pour the sweetened condensed milk evenly over the entire content of the pan. Bake for 25 to 30 minutes or until the top starts to turn lightly brown. Rotate the pan in the oven about half way trough baking time and, if needed, cover loosely with aluminum foil to prevent excessive browning. 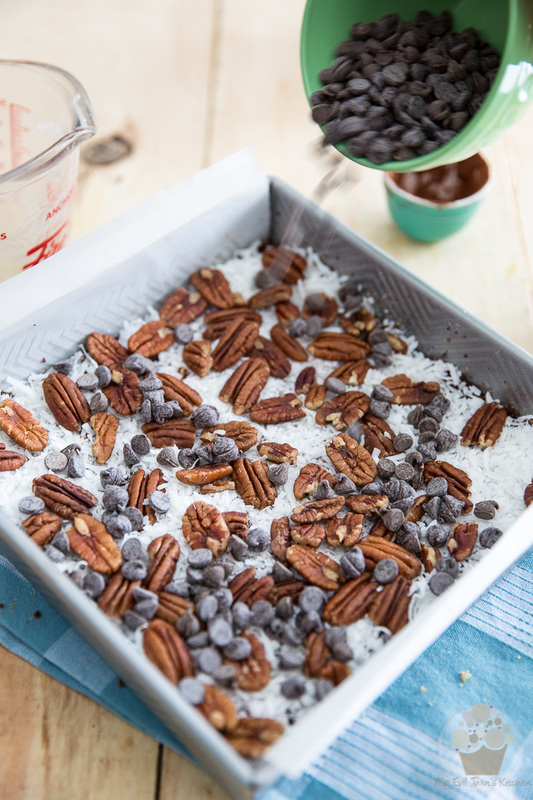 Remove the bars from the oven and allow them to cool completely at room temperature, then cut into 16 squares. Baked this and let them cool and then air tight container over night before I touched them. Tried cutting them and they’re completely stuck to the wax paper and pulling off turns to crumbles. I’m sorry to hear about your experience. This is most likely due to the fact that you used wax paper instead of parchment paper as was specified in the recipe. 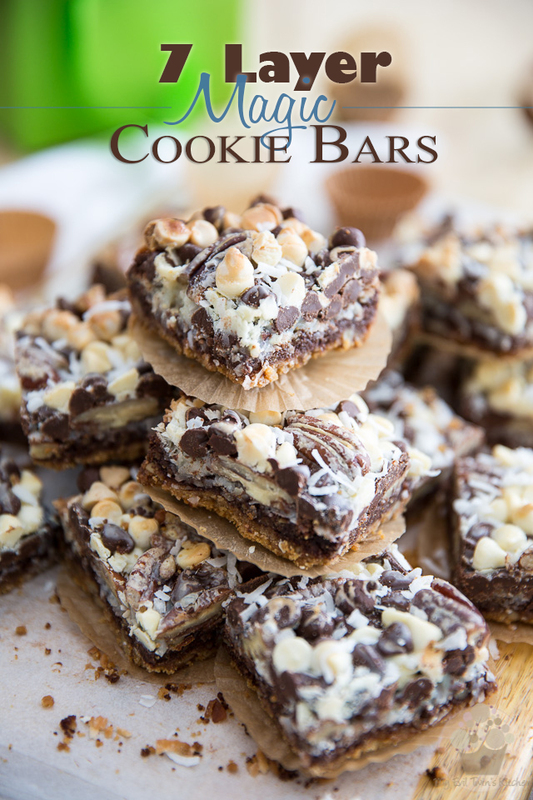 Made these day and was super disappointed when the graham cracker crust was crumbly. Any suggestions? The rest of it was amazing but I’d really like to try it again and be able to eat it with the crust. I’m real sorry to hear, Jordan. 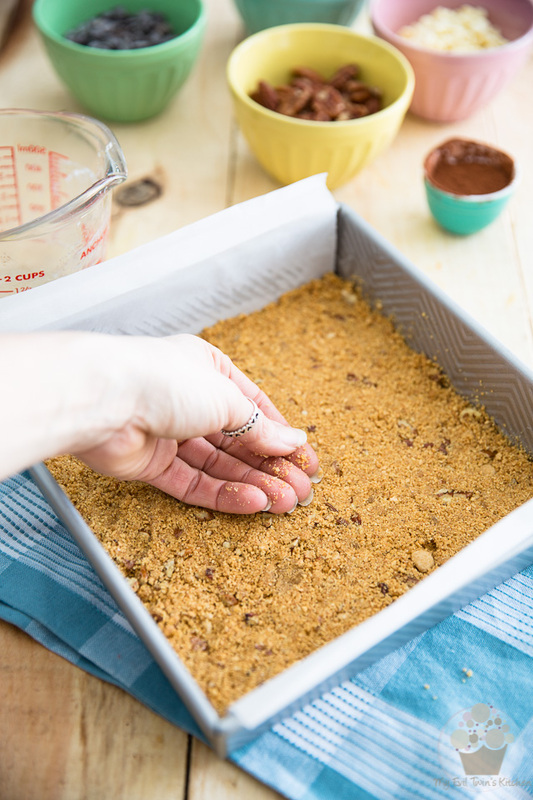 It could be that you simply didn’t press down hard enough when you packed the crumbs in the pan. 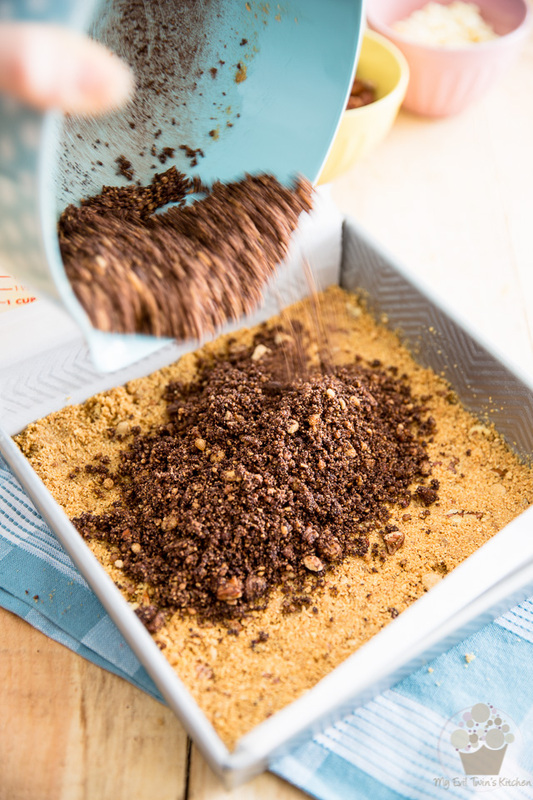 Graham cracker crumbs need to be packed fairly firmly so they actually form a solid crust. If you wanted to play it real safe, you could also add a tad more melted butter… I say a quarter of a cup should be more than enough! Hope this helps and that your next batch comes out perfect! The recipe calls for a 1/4 tsp salt, but the directions don’t say when/where to use it.